Church we stood in front of during the precessions. Love this moment that Lauren captured just before the precessions started. 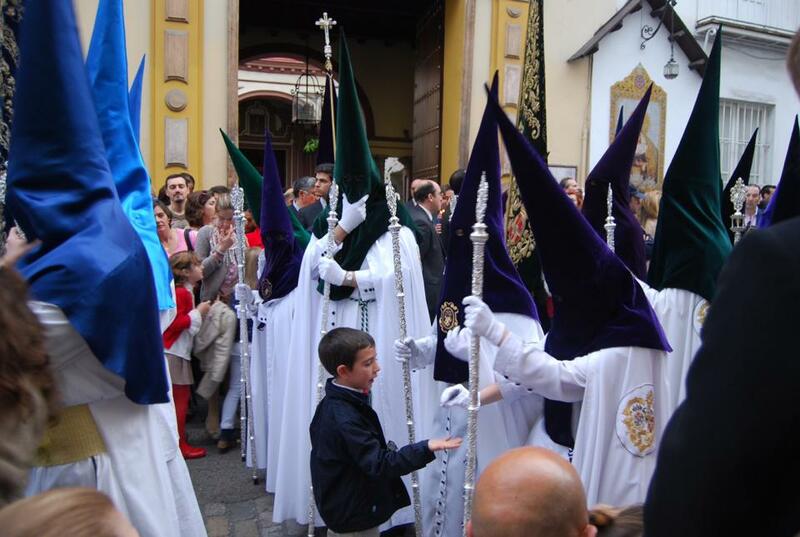 Even in the wake of Semana Santa, Catholic influence is everywhere. Seville was the first place Queen Isabella started the Spanish Inquisition and was the last city to end it. Statues of saints stand at almost major intersection, and just about all of the street names are biblical. 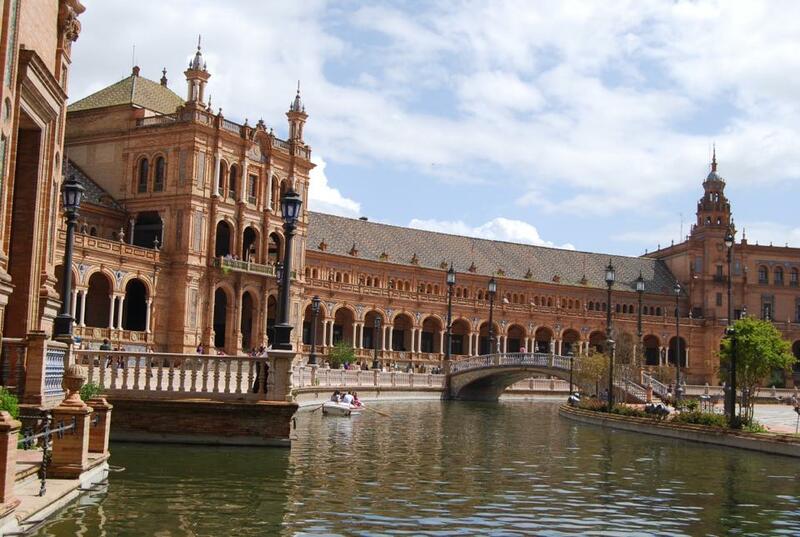 Seville is a city that has kept architecture from Jewish, Islamic, and Catholic rulings. It’s like multicultural day in high school on steroids — minus people shooting boba balls at your head (guilty). Lauren and I stayed at Hostel Oasis, a hip place with great customer service. We got lucky in our twelve bed dorm room because all of our roommates became our instant friends – particularly a group of four Aussies. I convinced one of them to do the worm with me and knew we were soulfriends after watching him flop on the ground a few times in his worm attempt. Sadly, our perfect mix of personalities in the hostel room was short lived. After the Aussies left, we requested to switch rooms because the new roommates were smelly and we felt as though we were suffocating in an unhygienic smog of old meat and swamp juice after a few minutes. The hostel receptionist happily switched us after I challenged him to walk into the room and take three breaths without gagging. The next few days were devoted to exploration of the city! I learned about the history of Seville from the help of a small Polish tour guide (who I highly recommend if you are ever in Seville! Her name is Elsa and she works for Panchos Free Walking tours). 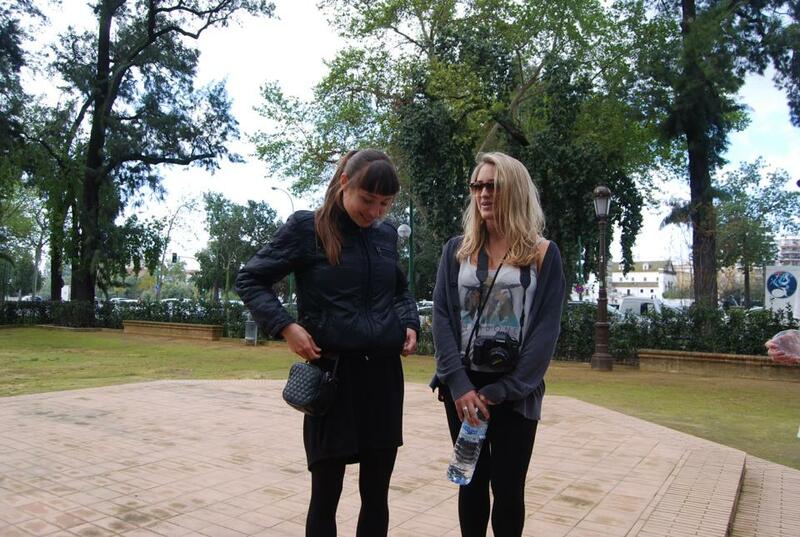 Lauren and our tour guide, Elsa. We visited Plaza de Espana, which most people know of thanks to Star Wars and The Dictator. I kept my eyes peeled for R2D2, but we learned that the plaza has a much darker history. It was built as an apology for all of the harm Spain had done to South American countries during their darker, imperialistic period of history. However, in a sad and ironic way, it became 1/3 immigration building (where many South Americans were denied entry), 1/3 military museum, and town hall shortly after. 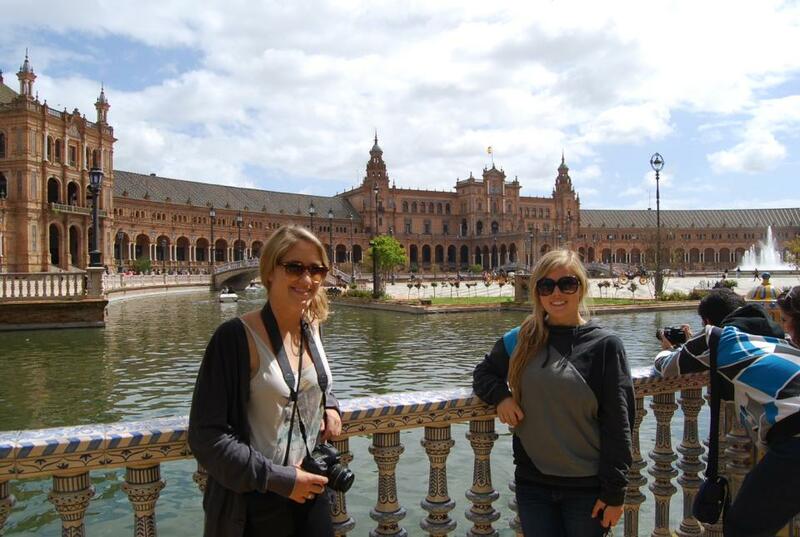 Lauren and I hanging out in front of Plaza de Espana. Sad to leave each other, the Aussies, Lauren, and I spent our last night bonding over dinner and episodes of Judge Judy before going out. We bar hopped and did handstand contests in the middle of the street (which resulted in me smacking my head on a rogue cobblestone). It would have been an early night had we not gotten lost walking home for two hours. I like to think of us as the six stooges, international edition. To be fair, his feet were a bit smelly – despite me putting laundry detergent in his shoes. It felt just like being back at USC again. 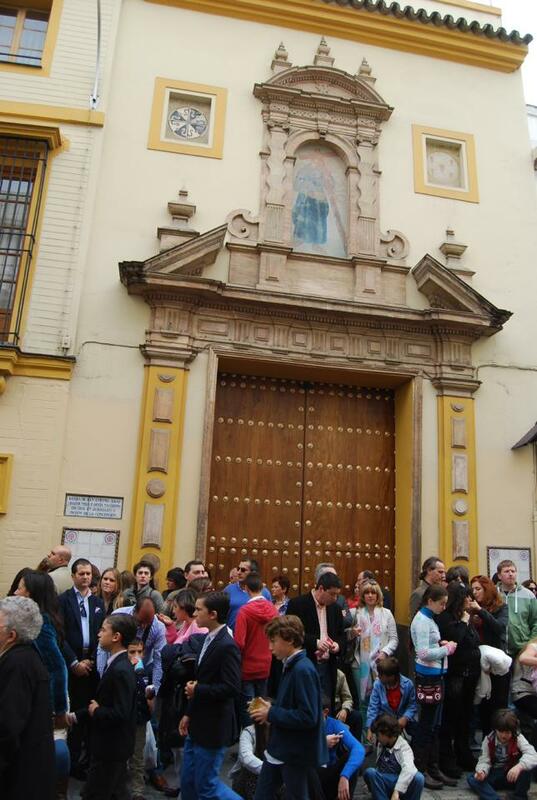 The next day, I went on a myths and legends tour around Seville solo. Hungry, I grabbed a bag of sunflower seeds (aka pipas) for the tour. Elsa, the tour guide from the day before began describing why some streets had five different names (the Jewish quarter wanted to confuse outsiders) and began telling a horrific account of a mass murder occurring in the very spot we were standing. I waited anxiously to hear the rest of the story when I noticed that fellow tour goers were glancing over at me. Slow, quick double takes began to be replaced by angry scowls. I looked behind me. There was nobody — every spite filled stare was directed at me. I wiped my face wondering if someone at the hostel had drawn something inappropriate on me while I was sleeping. Suddenly the entire tour was staring directly at me. I looked in my hands at a clump of chewed sunflower seed shells and slowly spit the rest into the bag with all eyes glued to my every movement. The tour continued as planned but I knew i had been exiled for making munching sounds. I followed a few feet to the side of the others for the rest of the day, storing seeds in my mouth only to chew when the time was right – such as an ambulance passing or during the temper tantrum of a nearby child. All throughout the city, you can see the symbol of NO8DO. It’s a remnant of one of Seville’s most beloved kings, King Alfonso X who allowed different religions to marry. 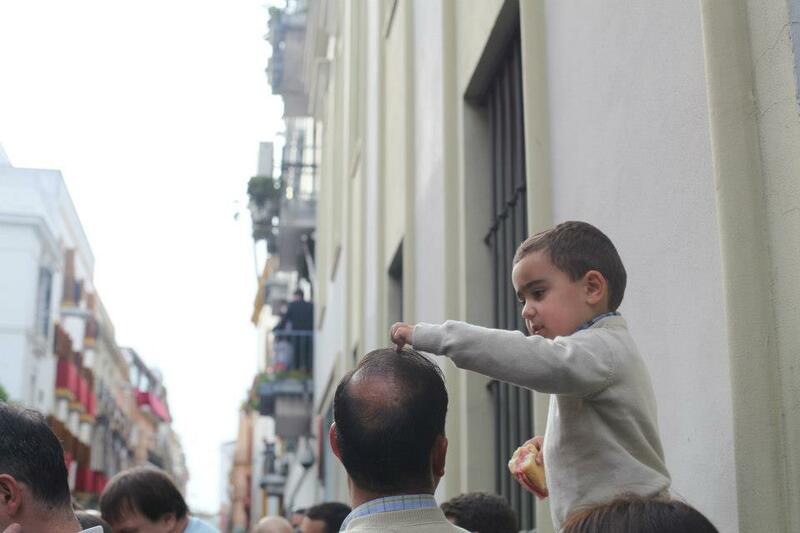 He knew his son would not allow this right in succession, so the king planned to pass his crown to his grandson instead. His son raised an army of civilians through bribes. 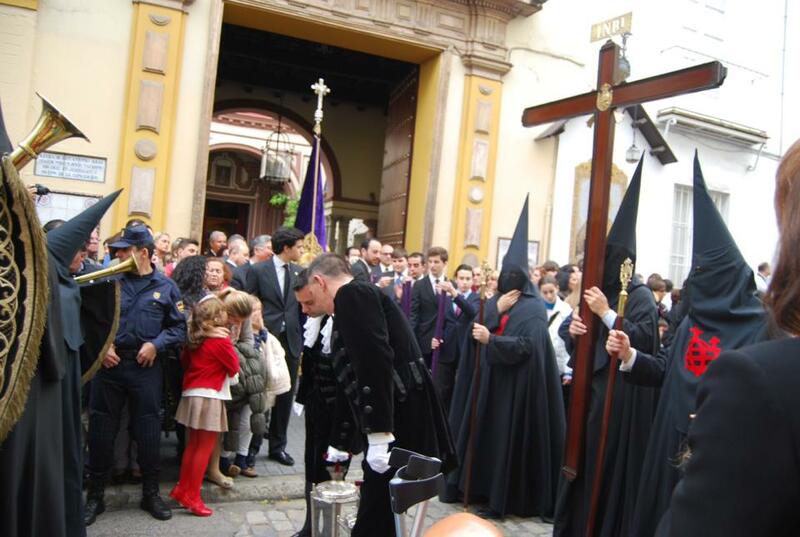 Almost all cities joined the son – one of them was not Seville. King Alfonso X, knowing he would be defeated, passed the crown to his son on the condition that he could continue to rule Seville until death. 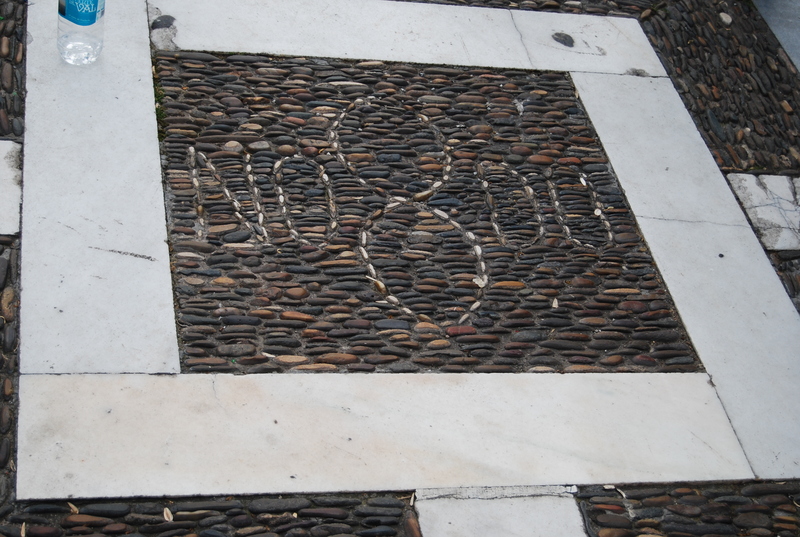 He created the symbol, NO8DO – no me ha dejado – meaning “it (the city) has not abandoned me,” to show an eternal bond between himself and Seville, and it holds steady until this day. On the left of town hall, the building is ornately decorated and was completed during the Golden Age. However, financial crisis hit and the building was unable to be completed. 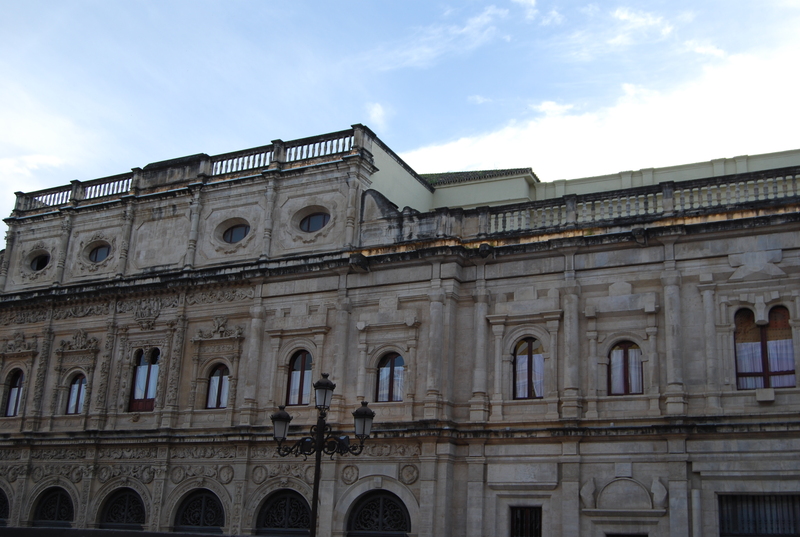 Sevillians voted to keep the building unfinished as a reminder of their history. Town Hall – notice how the ornamentation changes from left to right. 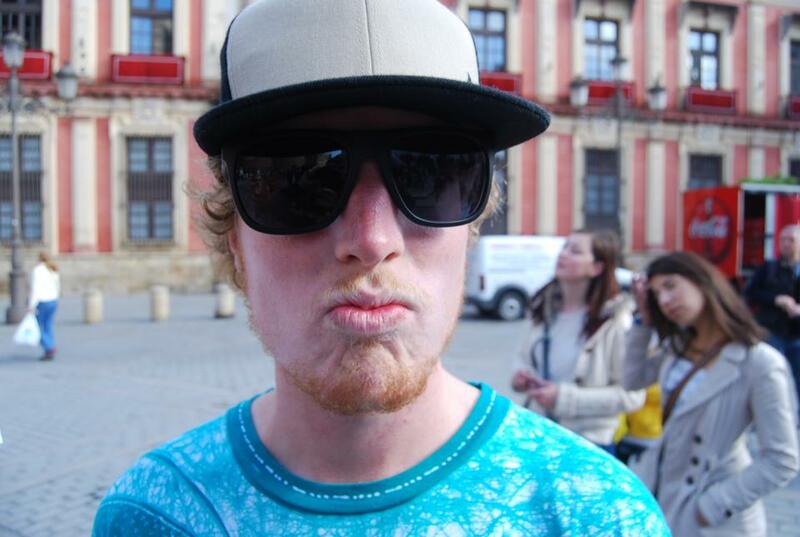 I loved my time in Seville, and am definitely making my way back someday (welcomed or not)! If you survived this entire long post about the finer details of Seville, and are feeling a bit masochistic, be sure to check out my other posts about Europe thus far! And ate everything else on this planet in Madrid!